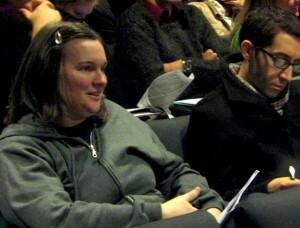 Peter Carroll and one of the participants of ALBA’s New York institute for high school teachers. Photo Xóchitl Higuchi. After organizing three successful professional development programs for high school teachers this spring—in Seattle, Tampa, and Oberlin, Ohio—ALBA launched three more in the autumn term in Alameda County, California, New York City, and Bergen County, New Jersey. As in the past, teachers are welcoming the presentation of fresh historical source material from the ALBA archives as well as the long-terms perspective that links the Spanish Civil War of the 1930s with continuing struggles for human rights in the twenty-first century. Assisted by the Alameda County Office of Education’s social studies coordinator Avi Black, ALBA’s presenters, Michael Batinski and I, distributed a series of historical documents that included letters from Spain written by U.S. volunteers in the Lincoln Brigade, home front commentary by President Franklin D. Roosevelt and various newspapers, as well as the U.N. Declaration of Human Rights. A power-point slide show also began with Picasso’s Guernica and went on the compare visual documents, such as Spanish Civil War posters and children’s drawings, with poster images from contemporary Sudan. Participants of ALBA’s New York institute for high school teachers. Photo Xóchitl Higuchi. In this way, major issues of the Spanish Civil War—bombings, civilian casualties, refugees, the intervention of outside nations, and the resolution of conflict—raise related questions that face students studying international relations and world history today. Such feedback has inspired ALBA to expand the educational project to include more human rights elements and to increase ALBA’s base of teachers around the country. In that spirit, some fifty New York City teachers of social studies and Spanish convened on Election Day at New York University for another professional development seminar organized by Lee Frissell, hosted by the King Juan Carlos I Center, and led by James Fernández. That session represented the fifth consecutive year ALBA offered these programs for New York area teachers. And the following day, we led a similar program for highly motivated teachers in New Jersey. 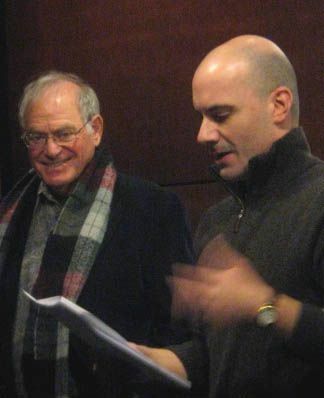 James D. Fernández at ALBA’s New York institute for high school teachers. Photo Xóchitl Higuchi. ALBA’s educational mission is supported by grants from the Puffin Foundation and from independent donors who endorse our work. For more information about how you can contribute to ALBA’s educational programs, contact Marina Garde (mgarde@alba-valb.org). Peter N. Carroll is Chair Emeritus of ALBA’s Board of Governors. 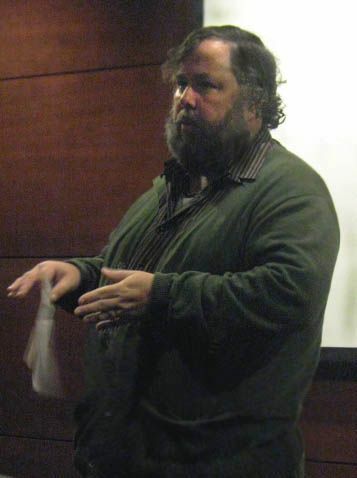 His essay “The Spanish Civil War in the 21st Century” appeared in the Fall 2012 issue of the Antioch Review.